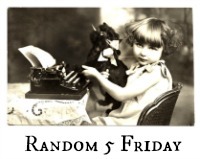 A Friday meme that I haven’t participated in before is Random Five Friday, hosted by Nancy at A Rural Journal. It’s pretty simple: you just post about five random things going on in your life. 1. 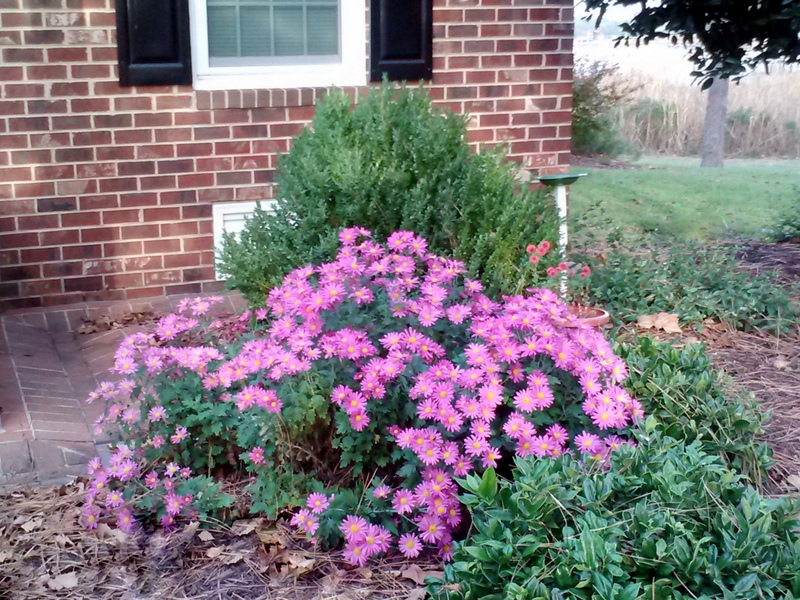 For Mother’s Day in 2011, Marshall gave me a beautiful mum, which I later planted in a flower bed. It must like the location. Reminds me of one of my favorite quotes: “Bloom where you’re planted”. 2.) How’d you like to find yourself driving behind this? Yeah, I wasn’t too thrilled about it either. Thankfully, (somehow) everything stayed perched on the trailer until I could get around it. I guess he made it to his destination since I didn’t hear of any incident caused by junk spilled all over the highway. 3. Last Sunday, Motor Man and I took his mom riding in the neighborhoods where they used to live. We drove by the house where she and Pop were married 71 years ago. She remembered the exact address, although she hasn’t been in that area in probably 40-plus years. She was happy to see the house is still being well maintained. 4. 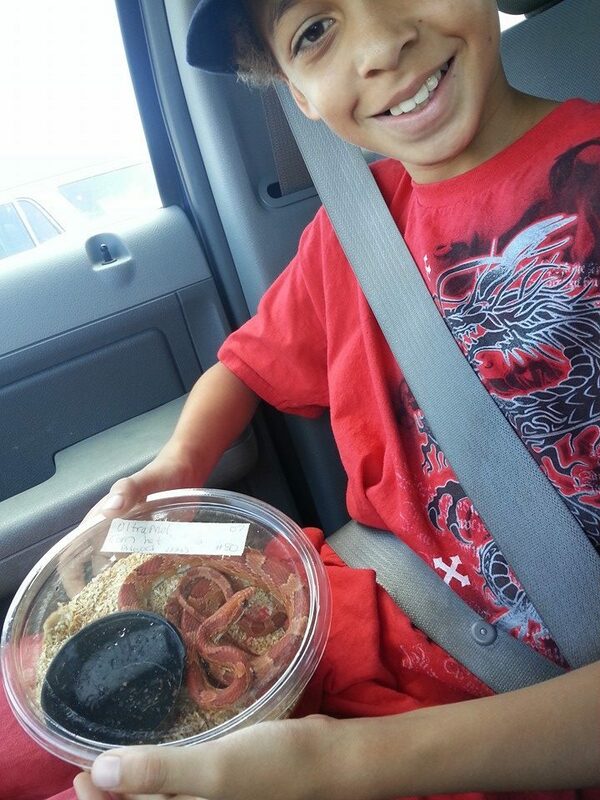 My niece posted this picture on Facebook of her son, Connor, with his new pet….a corn snake. Guess what he named it. Ready? “The Kernel”. 5. 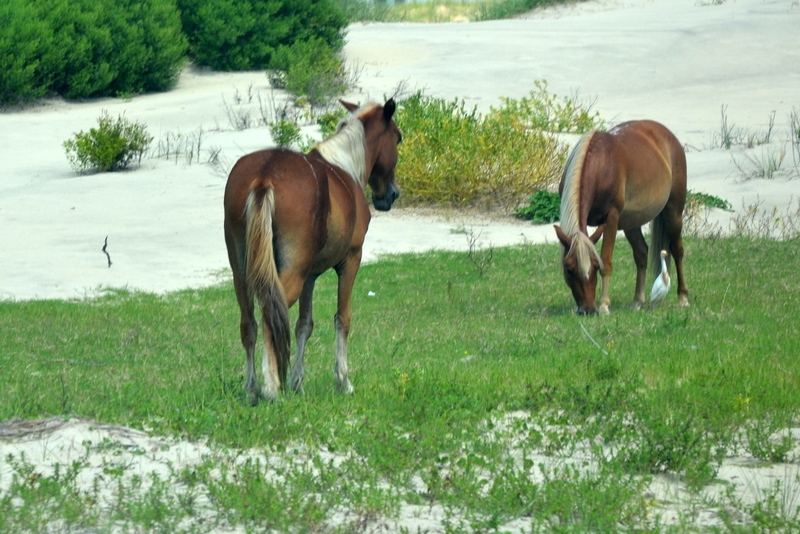 It’s been several weeks since we’ve been to the Outer Banks, and I’m seriously having wild horse withdrawal. So those are my first ever “random five”. This entry was posted in Days at Home, Family, OBX Wild Horses, Traveling Days and tagged corn snake, mums, obx wild horses, random five friday. Bookmark the permalink. I’m sure it was bittersweet for her, MJ. And I love my Marshall! You chose well for your first “Five”. I’ll have to say my daughter is a much better mom than I am because never would I be living in the same house with a snake!! Did you have to post that picture of a snake? LOL Loved your 5 things. Love that Connor named the corn snake The Kernel! I would say the “Mum” is very happy where she is planted!! Good Morning Dianna! It’s definitely the perfect name for a corn snake. I like random friday. It gives those random pictures a story to go with them! Bits and pieces of your life! I really like this; covering several different topics in one shot ! Glad to see the mum is doing so well ! .. I really enjoyed your random 5…The Kernel…that is cute. Leave it to Connor to come up with the perfect name. That little house is darling — and smiled at the snake’s new name. Very creative! Thanks so much for joining in this week Dianna. Have a great weekend! Thanks for commenting, Nancy! It’s a fun meme! Your random 5 is a GO! The mum has really grown and is beautiful and special sense Marshall gave it too you. How sweet that Mrs. Keen remembered the address and you all were able to see it. Have a good weekend. both the snake and the junk truck scare me to death! Glad everyone survived. The kernel… that’s ingenious! Truly your mum it echoes the phrase in glorious colors. Thanks so very much for visiting my blog and leaving me so many enjoyable comments. 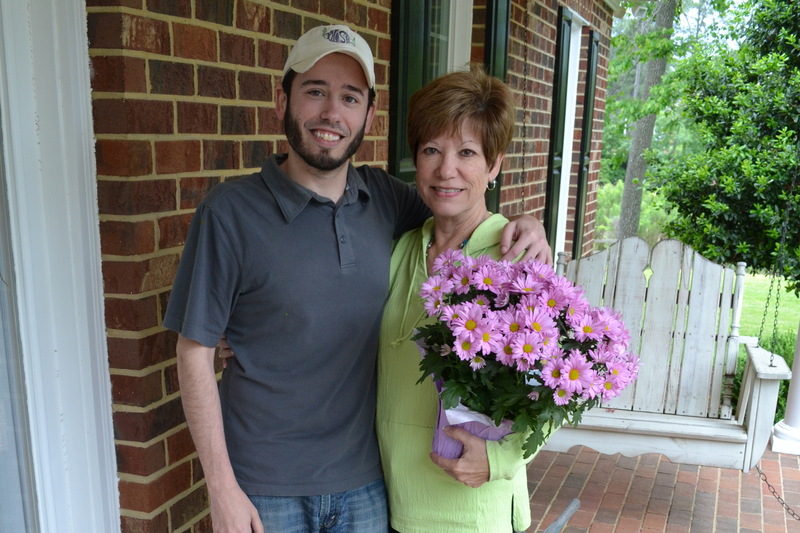 Great Random 5 – That mum is pretty and certainly has blossomed where you planted it. Cool looking snake & a very fun/creative name for it. Your mum looks very happy there. 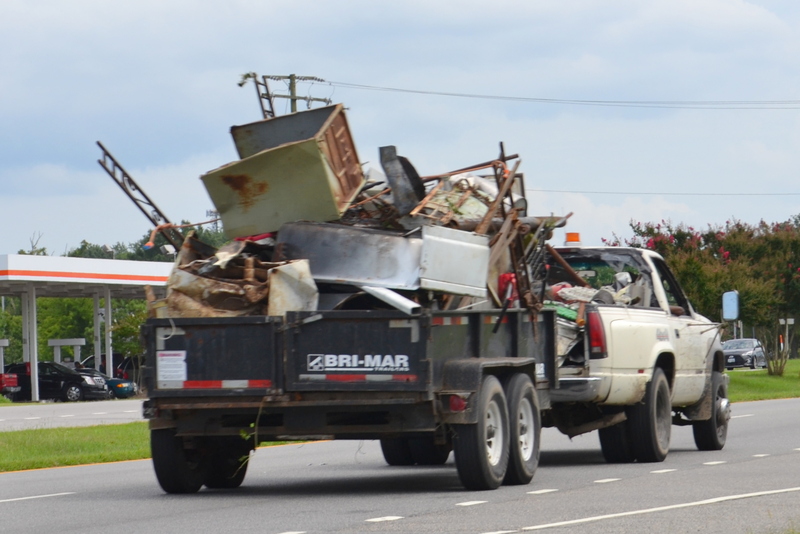 Yikes, that was a pile on that trailer, it’s a wonder it all stayed put. 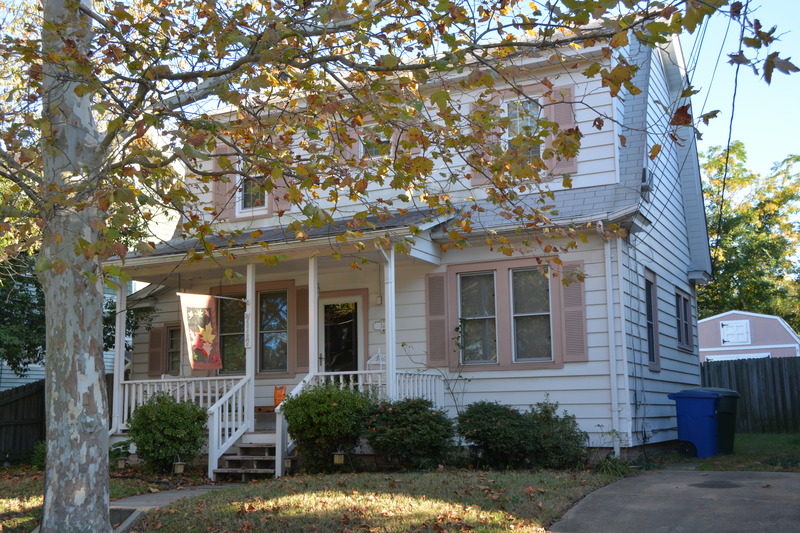 The house does look like it’s been taken good care of. “The Kernal” is a great name, though it is a pet I wouldn’t have chosen! Beautiful horses. Glad you did Random 5 Friday. I think they’re a lot of fun.